Public transport is one the most important aspects that are always considered especially in terms of urban tourism. The urban centers have got rich heritage centers and recreational attractions that present visitors in such cities to take a short time visit to those areas as a break from their business deals and workshops. For example the Uganda’s city of Kampala is a re-known tourist destination with cultural, religious, historical and recreational attractions which always impress travellers on Uganda safaris and tours. Connecting from one point to another with in the city is very important. There must be easiness in terms of connections and travellers like those on Uganda safari should not face difficulty in making these connections as most of them want to utilize the limited time to maximize their experience,. From the past, it is known that Kampala has always had issues with its public transport. Besides, unspeakable traffic jam, the public transport services like Buses, trains among others have been a story with the field dominated by commuter taxis which are unfortunately in poor conditions and this in turn has always hindered travellers to undertake Uganda safari tours to Kampala city. With the efforts of the Kampala City Authority (KCCA), various changes have been made and initiatives considered. For example the public bus service has started to operate in the city but most interestingly is the introduction of public train service. 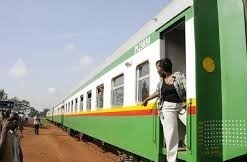 The Public train service which has been launched will for the start be operating between Namanve to Kampala at a sum of 3,400/= for a return journey service. This is seen as a positive move to reduce traffic congestion and enhance easy transfer of travellers on Uganda safari that would wish to visit the industrial area at Namanve.